Seattle FMA/JKD Fan’s. This is a great opportunity to get some awesome training with some great people and support a great cause! Please consider SHARING this event to get the word out. As I posted a couple weeks ago Datu Kelly S. Worden is going to be slowing down a bit in teaching due to some lingering injuries from some bad automobile accidents and the ensuing insurance/medical nightmare. Choosing the path of a martial arts instructor leaves you and your life particularly vulnerable when things like this happen. Showing our support would be really nice. 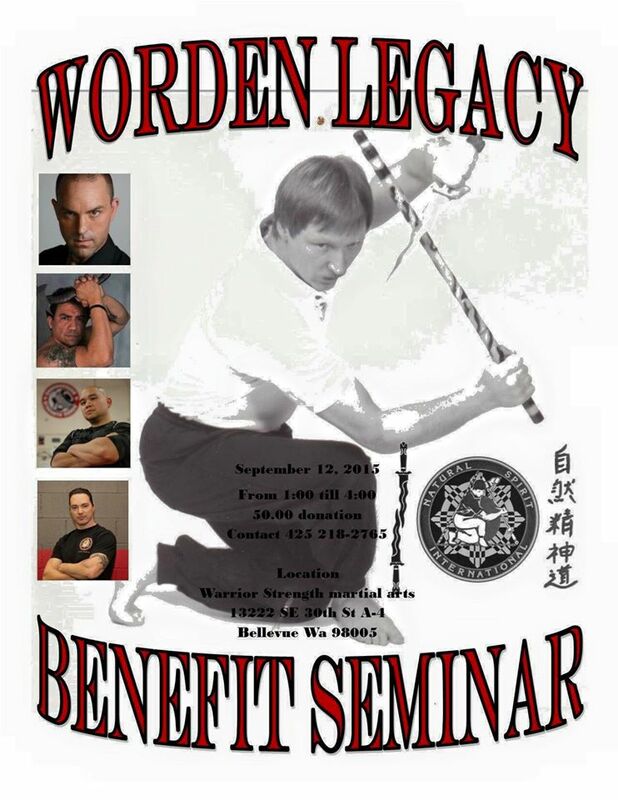 This benefit seminar is being conducted by a handful of Datu Kelly’s most senior instructors and a couple of my close friends. All proceeds will be used to help Datu Kelly get through this difficult time. Martin Gonzalez, Belton Lubas and Ian Allen will all be teaching! If you have been influenced, know, trained, attended a seminar, and or have worked with Datu and live in the Northwest….come see what his instructors have to offer. Come out support the seminar by attending, donating, and/or sharing this event!